For employees performance to arise, communication to increase and work attendance to improve in your company, we created different programs; each tailor-made for the special requirements of the well known main problems facing many companies today. Corporate Health will take over the leadership of a division/department/group etc. to re-establish command, direction, and so on. Dramatic positive results come into place. Erik R. Robertson was raised in Tokio, Oslo, Abidjan and New York, at English/Canadian, French, Norwegian and Dutch schools. He graduated with honours in (Educational) Psychology at the University of Amsterdam. The first 5 years of work were spent in NYC where he co-organised the nationwide sales of a French clothing line, doing 6 Million $ in sales (in the 80's) during the first season. Many successful years later he also experienced a highly educational bankruptcy. The period following the bankruptcy brought to light many hidden issues from his childhood including growing up in a dysfunctional (and divorced) family, abuse, learning disorders and the horrors of a very strict and cruel boarding-school regime. Many years of therapy followed, to afterwards arise like a phoenix from its ashes. During the late 80's Erik studied various religions and philosophies, nutrition, astrology and numerology. A great deal of inspiration further came from the so-called Human Potential Movement, known through names as Dr.D Chopra, Dr.W Dwyer and others. In the course of the 90's he worked as a psychologist for various institutions and specialised in all kinds of counselling and coaching. 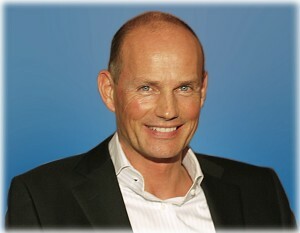 Erik founded his own company Corporate Health in the late 90's with an accent on coaching, vitality (and stress-prevention), (no-nonsense and goal oriented-)Teambuilding, Human Values and Corporate Social Responsibility; and also Inspiration/(Reawakening the Spirit in Work). He also advises companies in areas of policy and mediation issues. In some cases he is also available as interim Director/interim CEO. Erik states that: "People (and this also applies to companies) are able to be in a state of what is known as 'flow'; instead of living and/or functioning in a light neuroses that we regrettably refer to as our personality (or when speaking of companies: that part of the company culture that is implicit and often subconscious if you will.) Our personality (and/or the aforementioned culture) is often made up of many conditionings that in reality serve no purpose other than encapsulating our true and grand potential. To be in a state of 'flow'' can be experienced when you transcend the person you think you are, or when you transcend the existing company culture to excel even further. Needless to say the results are spectacular. Employees performance rises, communication improves and increases, work attendance improves dramatically to name but a few benefits. In The Netherlands Erik is a frequent lecturer and writer of various articles, and he has also appeared in various TV-interviews. Erik Robertson is available (internationally) as an (inspirational) speaker for various conferences, start-ups etc. He also works as Chairman to a Dutch Educational Committee and is co-organiser of various meetings/events. Erik is one of the initiators of the Heart and Soul "learning events".